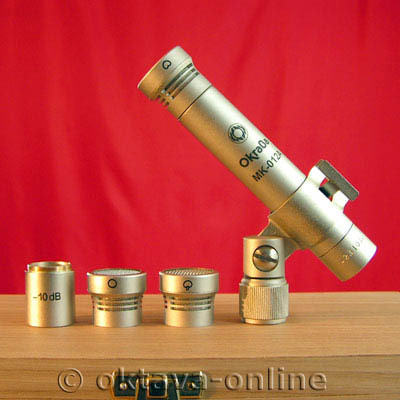 MK 012-01 version or just cardio, it is recognizable by its capsule form vase, it had its inception, however the exact form of a KM84 but After a few problem with the brand Neumann, Oktava Submitted adopt the form, without changing the sonic aspect of the microphone. - Users known: dernire turns Norah Jones, U2, Sting, Radiohead, Tears for Fears, Sheryl Crow, Edwyn Collins, Rick Wakeman, Mike Oldfield, Roger Taylor, Mick Taylor, Bryan Ferry, The Mission, Pearl Jam, Neil Diamond, Iron Maiden, and ME !!!!!!!!! on the other hand in terms of timbre in mono and more cardio Matched Pair (coincident ORTF or XY), it was a rvllation the era. I bought my first pair in 1994 and had rarely heard such warmth, softness, music. It is certainly not as effective and flattering that a couple of KM modern, but often much prettier. - I do not like the sound of the capsule hypercardio, I prfre by Neumann KM150 against one, but it is not the same price! 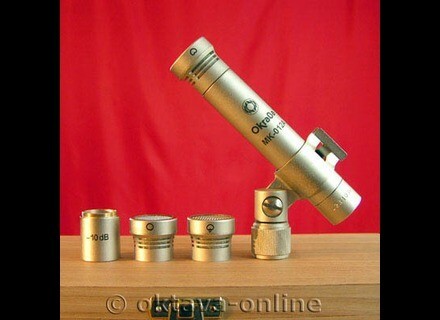 Take a couple of Schoeps MK 4G, Neumann KM 184 and a pair of Oktava MC 012 working just your investments and compare! In short if you plan to buy some microphones, so please be two MK 012, they will not do everything, but they will often better than others. and then with the money you You Save, buy you a double pre amp to go with your API for example couple !!!!!! These are microphones trs endearing regarding their color! - It is important to grate against the correct placement, as the MK 012 is rich in grave and the effect of proximity may be too intrusive. - The dynamic return is less than an old prcise KM84 for example, or the stars of the genre DPA 4012! I'm currently 20, if not of love! * Another trick I also advises trs good ball windscreens and Schoeps W5 W5D that transform your MK 012 in studio vocal microphone acting as an effective anti pop arch and neutral.